This is the Mignot figure we painted for the 2015 project. Thank you for the advice, Shogun. I visited their website (http://www.zinnfigurenfreunde-leipzig.de/index.htm) but unfortunately I was not able to locate the figure and hardly found any mail address to contact them. Finally I wrote to Mr. Schmidtchen, whose address I found on the Impressum-site, but the given mail-address returned a delivery failure feedback. Have you got perhaps any further info concerning this figure or a working contact for the editor, please? I think the Richelieu by Gottstein (availible in Leipzig) is nice too. I am still hunting for my Richelieu! Any offer would be interested. 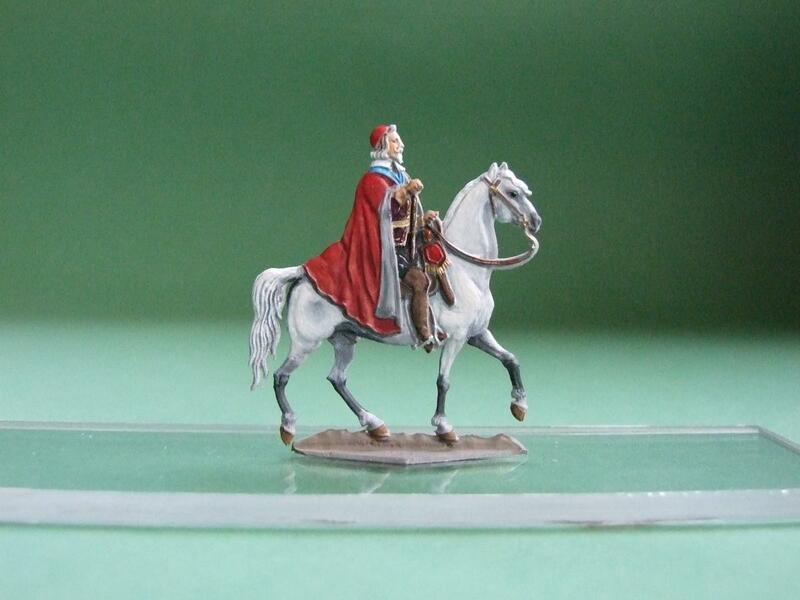 if any of you has a Mignot Richelieu figure as surplus example I would gladly buy it!